The pledge of Yahushua’s Second Coming has been a cherished promise for nearly 2,000 years. It has strengthened martyrs and comforted the lonely and heartbroken. Yahushua wants His people ready for His Second Coming. He has warned everyone to watch and be ready and given signs to look for as harbingers of His return. Satan wants people taken by surprise. He knows that when Yahushua returns, the final battle will have already been fought; the great controversy will at last be over. The case for every individual will be forever decided by the time Yahushua returns. Satan thus tries to keep people from getting ready so that the Second Coming will take them by surprise and they will be lost. 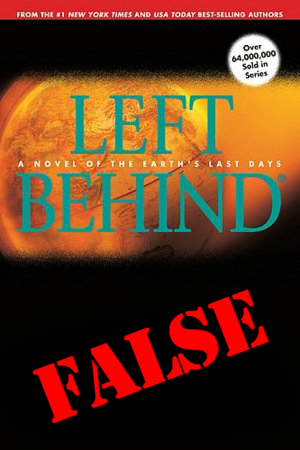 Millions are being deceived by the erroneous doctrine that at Yahushua's Second Coming, the saved will be secretly raptured, and there will be a second chance for those "left behind." One of Satan’s most successful lies has been that there will be a second chance given to sinners after Yahushua’s Second Coming. This very popular belief, referred to as the “Rapture,” teaches that Yahushua will return secretly, taking His people from the earth. It is believed that following the “rapture of the righteous,” the entire earth will be plunged into seven years of great tribulation during which Anti-Christ will reign and exercise great power on earth. This is a very dangerous belief. Not only is it NOT found in Scripture, but it leads people to assume they have more time to accept salvation than they actually do. 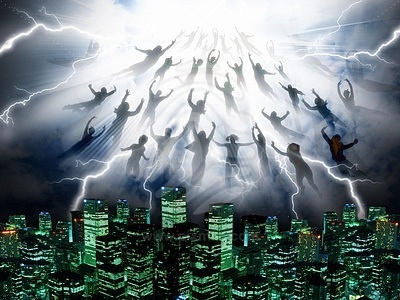 Rather than diligently searching their hearts and repenting of every known sin, people who believe in the rapture have a false sense of security believing that if they don’t make the “secret rapture” they can still repent later during the “Great Tribulation” following the rapture. These verses cannot be used to support the idea of a secret, pre-tribulation rapture because they are merely a summarizing statement of an illustration Yahushua had just used! Yahushua explained that there would be two classes of people at the end: those who were saved and those who were lost. He likened it to time before the flood when everyone, by their own choices, determined whether or not they would be saved. Those left outside the ark were not given a second chance. Their probation had closed and they were destroyed in the flood. "But as the days of Noah were, so also will the coming of the Son of Man be. For as in the days before the flood, they were eating and drinking, marrying and giving in marriage, until the day that Noah entered the ark, and did not know until the flood came and took them all away, so also will the coming of the Son of Man be. “The field is the world; the good seed are the children of the kingdom; but the tares are the children of the wicked one; The enemy that sowed them is the devil; the harvest is the end of the world; and the reapers are the angels. The secret rapture contradicts Scripture by teaching that before the end of the world, the righteous will be taken out. The order of events, as given by Yahushua Himself, is that the righteous and the wicked remain together until the very end of the world. Then, at that time, the wicked are first gathered together in bundles for destruction. Then, and only then, after the wicked have been separated out, will “the righteous shine forth as the sun in the kingdom of their Father.” (Matthew 13:43) The secret rapture contradicts Scripture by teaching that before the end of the world, the righteous will be taken out. Yahushua knew that His faithful followers would be in the world until the very end. There would be no secret coming to whisk them out before the great Time of Trouble. 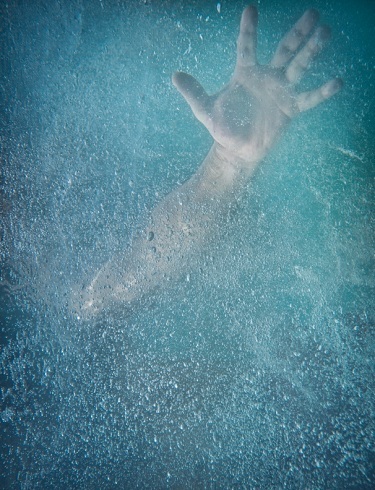 It was for this reason that His last recorded words before ascending to Heaven were the loving assurance, “Lo, I am with you always, even unto the end of the world.” (Matthew 28:20, KJV) The “secret rapture” doctrine teaches that only after the righteous have been whisked off the earth will the Anti-Christ appear. This completely contradicts the Bible. Scripture teaches that Yahushua will not return for His waiting people until after the anti-Christ is revealed. Then and only then will the righteous be caught up in the air and taken to Heaven. Revelation contains a precious promise for the faithful and righteous who remain upon the earth until the very end of the world. It is because the righteous will not be taken from the earth until the very end, that such powerful promises have been given. No one should delay obeying the divine law until some future, more convenient date. That time will never come. Now is the day of salvation! There will be no second (or third) chance given after Yahushua comes. The Second Coming is the end of life as we know it on Earth. It will mean eternal death for all who have rejected the Saviour and the beginning of life eternal for all who have accepted Him. There will be no second chance. Choose you this day whom you will serve.